Shortly after 1 pm, Sellersville volunteers were dispatched to Ridge Valley Rd in West Rockhill Township. Due to the report of the driver being trapped in the vehicle, Montgomery County Squad 72 (Tylersport) was dispatched as well. 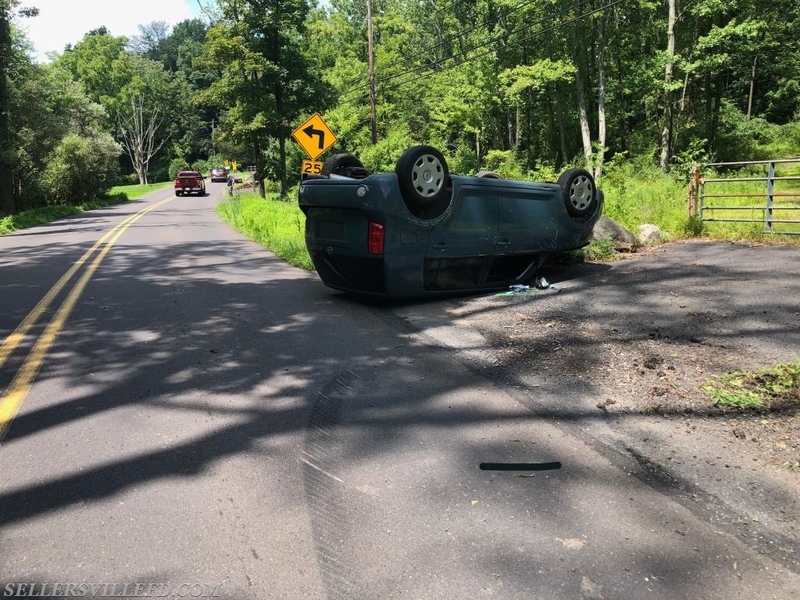 Further updates from Bucks County Radio advised that the driver was able to get out of the vehicle. Chief 27 arrived on scene and confirmed the report, holding the assignment to Engine 27-1 and Utility 27. Our fire police remained on scene for road closure while the vehicle was towed.